Brightwater: It’s a name which has brought pride to Nelson for centuries. Home to (Lord) Ernest Rutherford ‘father of nuclear physics’, Brightwater on the Wairoa River in the district of Tasman at the top of the South Island has more than one claim to fame. Brightwater is named from a song of 150 years ago. It now claims a population around 1800 but is really part of the thriving wider Nelson community. The main agricultural industry is now well settled around wine with a number of vineyards, wineries and restaurants. More recently the name underlines the wines of Gary and Valley Neale, an early Nelson wine growing family. This small family business has grown noticeably over their 25 years of existence as wine producers. Gary and Valley set out for quality wine right from the start, a bold and positive move. With this in mind, they attracted two devoted team members, winemaker Tony Southgate and vineyard manager Dale Springer. The ownership and senior management team seem to fit perfectly under the Brightwater philosophy and has carried it around the world. There is no over-cropping at Brightwater. Such would be a dilution of the wine and the name. Yes we can drink and taste the quality as a result. The combination of the team and the quality oriented belief has paid a dividend for the wine drinker-enthusiast. Brightwater is well recognised as ‘above the average’ and has a gold medal and trophy list to substantiate such credentials. Labels have been loosely split into the Brightwater ‘home’ label while the upper tier recognises some additional quality in the years which suit, by using the Brightwater Lord Rutherford nomenclature. Exports continue to be explored, including a programme into premium American restaurants. Gary Neale has another direction he is starting to pursue in 2016 for sales of Brightwater wines. He has established the Hand Picked Club and a separate Lord Rutherford Club to offer two plans for customers through New Zealand . The reason, says Gary, is straight forward. “The global financial crisis, along with a big New Zealand 2008 vintage, saw the world market flooded with cheap Sauvignon Blanc. Demand diminished for the hero wine with the gold medal”, Gary tells MG. It has taken its toll on a world market that can get used to – and expect – cheap wine very easily. So Brightwater has focussed on premium markets and produce a quality wine level deserving of a higher but accessible price. The two wine clubs from Brightwater give access to the premium wines, and also provide a pick-your-own selection every three months. Prices for club members are below retail or cellar door, a gesture to the quality / value formula. It is starting to work well. Top quality Nelson wine in fine form to a clientele which recognises the aspirations of the management team and their beliefs. Nelson itself has seen growth in recognition of its wines. Wine names like Brightwater are parallel to brands like Neudorf and Waimea Estates, all reflecting the local sites that name them. Most are new names to an international market. 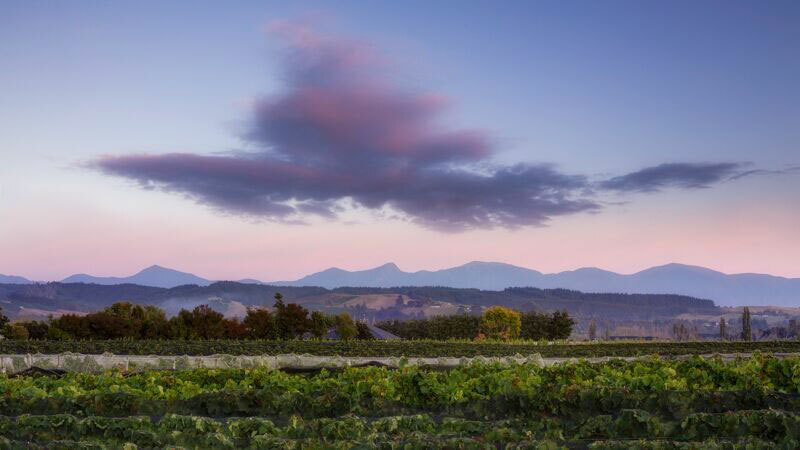 Kahurangi may be a National Park in New Zealand, yet as a wine name in export markets was unknown to the point where the owners evolved the wine brand to Trout Valley . Brightwater, Neudorf, Kaimira, Waimea and more have done well in bridging the local names with quality wine which reflects the local territory. They have been joined by other Nelson names which reflect their more contemporary nomenclature. For Brightwater, adapting to the market has been an important decision, yet remembering that each vintage brings its own issues and demands. Fine wine comes from regions suited to it, yet only when handled with finesse in mind.